DENHOLMS - YOUR MERRIER HOLIDAY STORE! You had your photo with Santa? Stared in wonder at the gorgeous holiday window displays? Shopped for that prom gown? 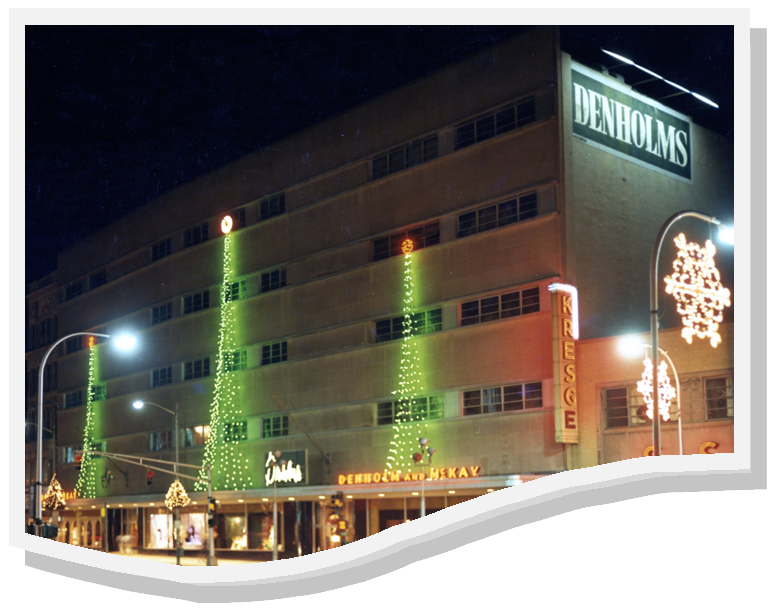 Share your memories and bring in photos of you and Santa at Denholms to scan intothe archives. With special guest speaker, author Chris Sawyer,for a behind-the-scenes view of the history and memories of Massachusetts's largest department store outside of Boston. With vivid descriptions of the festive holiday displays and personal recollections, Chris is sure to make any guest nostalgic for the bygone days of shopping at Denholms.